Over the last several weeks, the Lebanon Police Department received concerns of increased traffic and pedestrian activity in the Mack Avenue area of West Lebanon. Based on the reported concerns, a Problem Oriented Policing project was initiated, which included increasing officer presence in the area through the use of various patrols to include bike, foot and plainclothes officers. On August 28, 2017, a stop of a motor vehicle leaving the area led officers to a residence where suspected drug sales were being made. Investigation led to the arrest of Anthony Hutchinson, age 28, of Mack Avenue in West Lebanon for Possession of Marijuana with the Intent to Distribute, a Class B Felony; Possession of Cocaine, a Class B Felony; Possession of a Controlled Drug, Gabapentin, a Class B Felony and Controlled Drug Acts Prohibited, a Class B Misdemeanor. During the investigation, officers gathered information that led also to the arrest of Christopher Bradford, age 23, of Parkhurst Street in Lebanon for Possession of Heroin with the Intent to Distribute, a Class B Felony, and Possession of Cocaine with the Intent to Distribute, a Class B Felony. 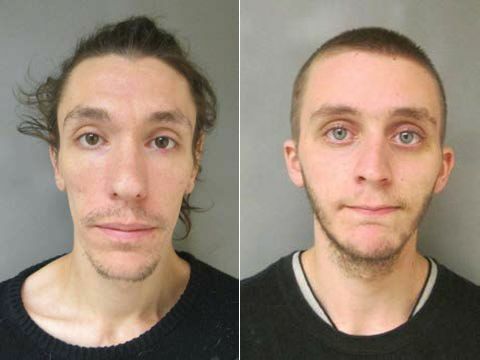 Both Hutchinson and Bradford were held on $7,500 cash bail and transported to the Grafton County House of Corrections to await arraignment.